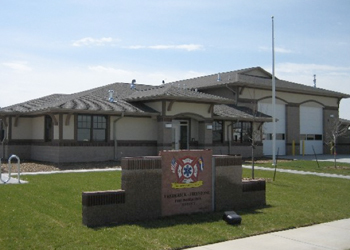 Project Description: A single story, 7636 square foot fire station designed to be compatible with adjacent residential development. The station features 4100 square foot of apparatus space and 3500 square foot of living quarters. The exterior materials include stucco, split-face CMU masonry and composition roofing.